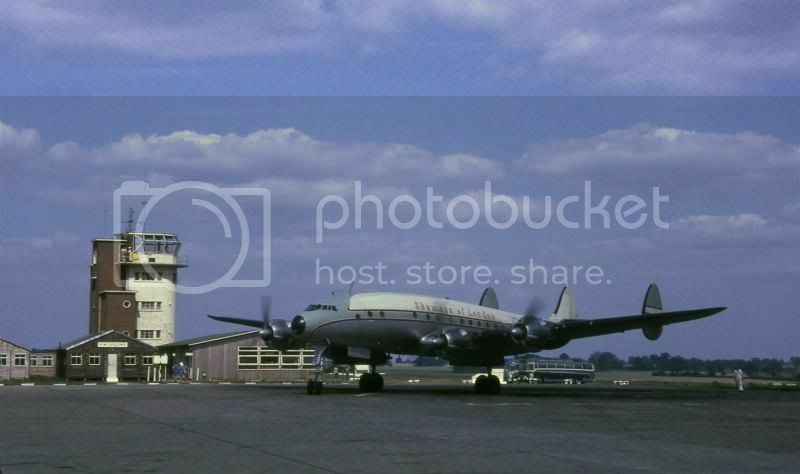 This thread has been started as the Luton 7 thread in Airlines, Airports and routes was shut down by the Mod as there were complaints about Luton's history being posted there. Posts here will sometimes be linked to hot topics in Luton 8 over on the Airlines, Airport and Routes forum. Luton check-in over the years. Your first photo must have been taken in the early 1960s. 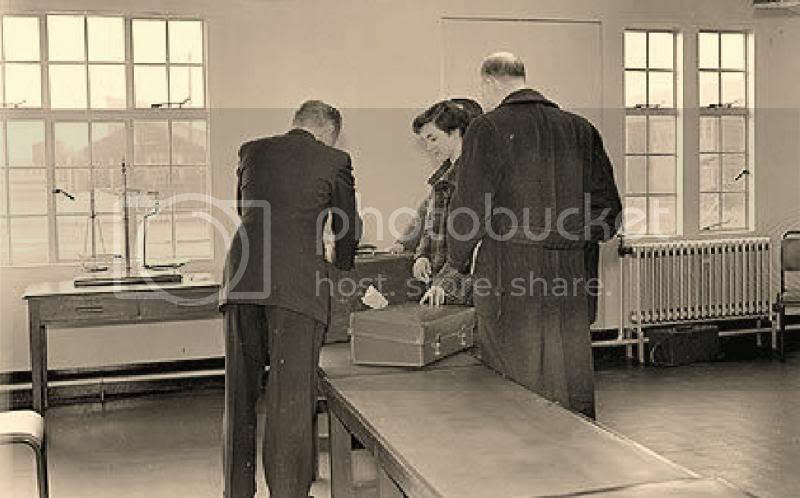 However, the second must also be a 1960s shot, as Autair re-branded to Court Line in early 1970 and the Autair desks are clear in the background. The 80s picture looks like check-in for one of the MoD charters. Even casually dressed these chaps clearly aren't off to Benidorm! I can just about read 'Hanover' on the check-in display. I think you are right about the MOD flights. I seem to remember there were 2 or 3 a day to West Germany. The service people had to queue twice. Here is a photo of the JSATO??? desks. 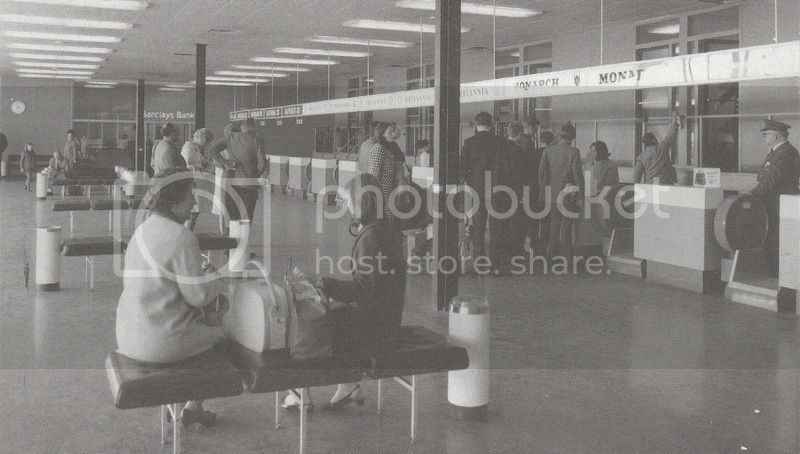 In the late 1980s and early 90s the MoD had a check in desk next to one of entrances to the terminal with the title of SMITH AIR. It stood out like a proverbial sore thumb with rather clean shaven and short hair style gents lining up. It also had an outside wall on to the concourse - not a very good idea in those days regarding the Irish problem! 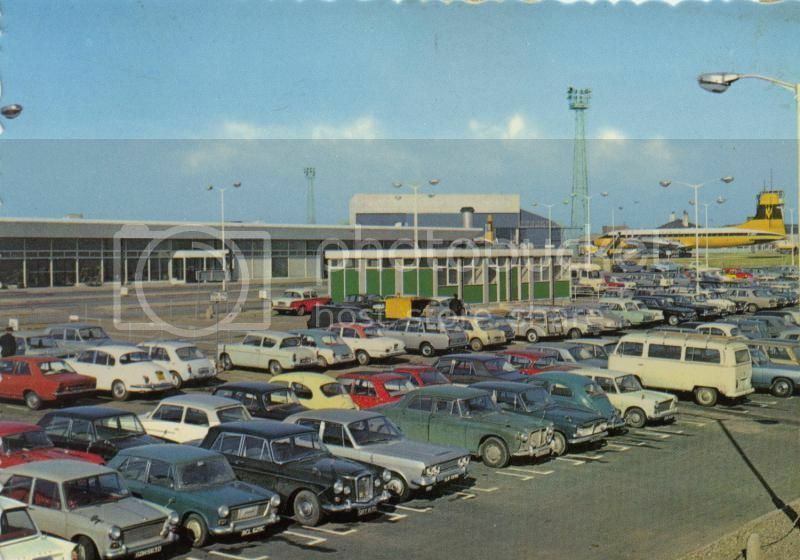 Also remember in the late 1960s the Open University using the airport to film exterior scenes for a programme - I think resembling a French airport. Remember the sliding doors at arrivals! Did many a Double Trooper from Luton to Gutersloh,Wildenrath,Gatow, Hanover etc 30 minute turnrounds in B737-200. Always had time to get cheap beer from the NAAFI. Before I got my command did several with Derek Davison ( Chief Pilot ) who would turn up just a few minutes before chock time! Would anyone be able to tell me which airline operated LTN-GCI and at what stage? I can only find records from the CAA in 1989 (1633 pax), 1990 (2488 pax) and 1991 (2429 pax). It would seem from this that it was a seasonal operation but I can find no details. If anyone could give me the low-down on the route's history I would be very interested. More pics please! The first picture looks like customs rather than check-in - note the chemist's scales in the background. I'm sure the Guernsey flights in the eighties were BMA, probably Viscounts, and were seasonal - mostly weekends, along with Jersey. BMA diesel nines back and forth on summer Saturday's ! Actually yes, I do seem to remember a Dash 7 being used, perhaps an ATP at times too? Going back to the 1960s and 70s British Midland used Argonauts on the Jersey and Dart Heralds and F27s on the Guernsey as well as to Jersey. I am sure someone can remember Derby Airways - the precursor of BM - operating Miles Marathons and DC-3s to Jersey but that was before my time. Around 1984 the terminal got a new entrance with sliding doors! Now coaches can park under cover. Only a few year later the arrivals meeters and greeters area needed to be expanded thus closing the bus lane. One flight each Saturday and Sunday. In 1985 the same flight number was used for both days. Great to see these old photos. My, how times have changed. I well remember the 'LIA' days when the terminal got its new entrance. 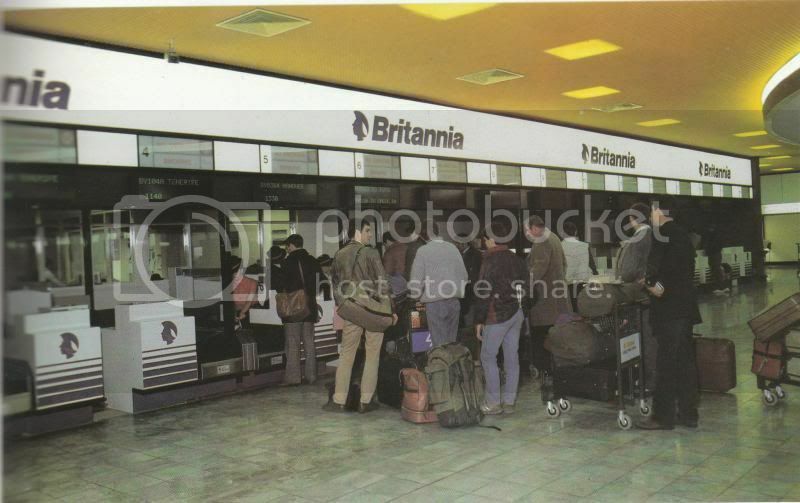 When I would regularly use the Britannia trooper to Gutersloh during the late 1980's, I seem to recall that the movers desk in the terminal was marked 'Sunshine Tours' or similar. I think it was a vain attempt to fool the IRA and the soviet bloc, that the kitbag carrying passengers were holiday makers?